The Samsung super AMOLED screen is the best feature on the Google Nexus S (and on the Galaxy S phones and every other high-end smartphone Samsung makes). Though the Nexus S doesn't pack the pixel density of Apple's so-called “retina display” on the iPhone 4, the trade off is more than worthwhile. The sAMOLED display shows rich, bright colors with deep, dark blacks, providing an ideal contrast, especially for viewing pictures or watching movies. The 4-inch, 800 by 480 pixel display does everything well. Text looks sharp and menu icons were crisp and clear. You might see the occasional jagged edge, but most curves are smooth. The screen holds up very well outdoors, too, better than every other screen technology on the market today. Sound quality from the Nexus S was very good. Using T-Mobile's network, calls were clear and bright, with a sound through the earpiece that was accurate and present. On their end, my callers also said I sounded great, with almost no background noise. Most callers could not tell if I was on a cell phone or my cable landline phone. Music also sounded great through the headphone port. The Nexus S can hit a higher volume than most other phones I use, which makes it great for working out or listening to loud music (in moderation, please, be kind to your ears). The speaker could have been a bit louder, but it reached an ample volume for ringtones to be heard. The speakerphone was also loud and clear, fine for talking handsfree while driving fast down the highway. 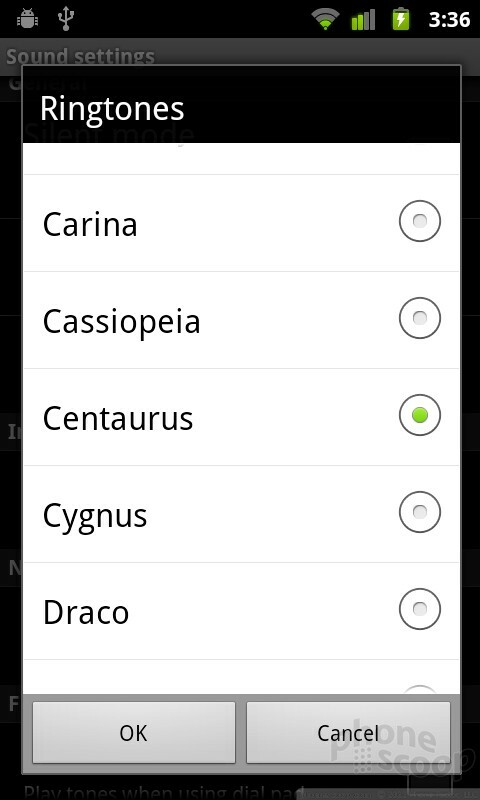 The Nexus S comes with a cool selection of ringtones, most of which are bent towards the ambient music side of the spectrum. With the sound turned off, the Nexus S had a solid, if slightly sharp, vibration. I have been very impressed with signal performance from the Samsung Nexus S on T-Mobile's network. I never had trouble with dropped or missed calls. The phone holds onto a 3G signal nicely, and I was never without good data reception. At best, I saw download speeds in excess of 3 Mbps, which is incredibly fast, considering Samsung and Google skimped on support for T-Mobile's faster HSPA+ network. Likewise, the phone did a fine job holding onto my home Wi-Fi network, even in the deepest recesses of my closet, where signal fades. 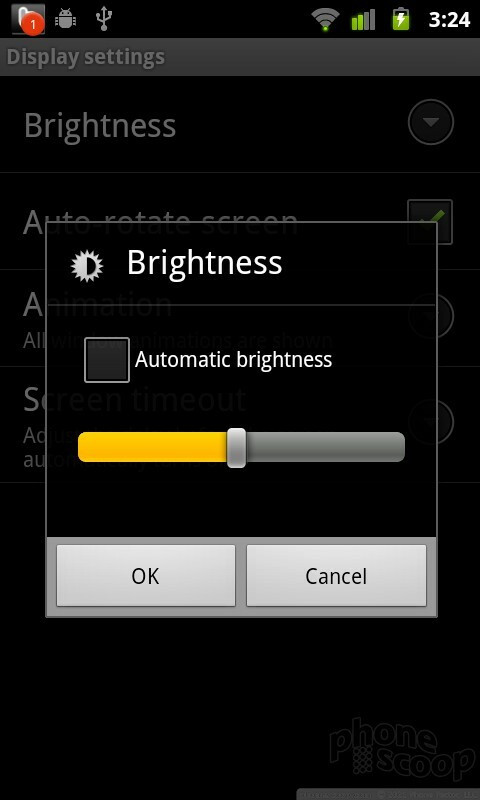 Battery life on the Samsung Nexus S was adequate, though I did encounter some strange issues. The phone charges very slowly. After five hours of charging from a reported 10% battery life, the phone was still at 94% charge. Another hour only pushed the phone to 96%. I wonder if there is a reporting issue with the battery meter. 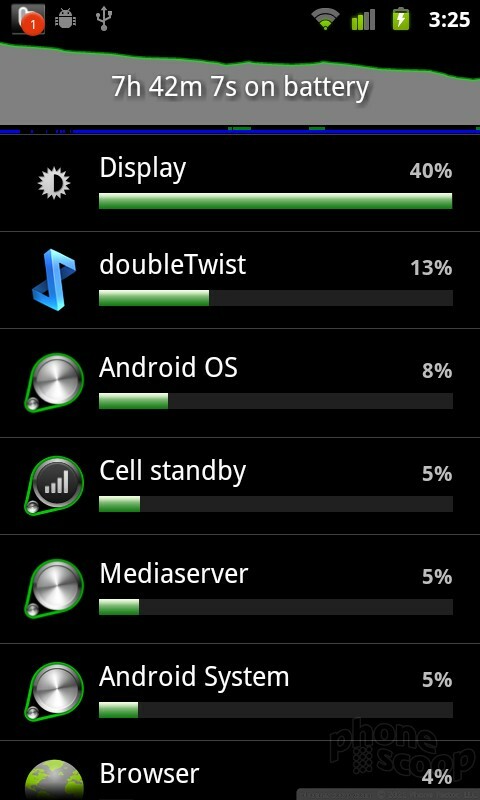 From that 96% charge, I was able to use the Nexus S all day without draining the battery completely. I stayed away from too much GPS and camera use, which are both battery hogs on this phone, though I did plenty of Web browsing over the cellular network and Wi-Fi. You should be able to use this phone through a full day, but unless you're limiting yourself to just phone calls and emergency browsing, you'll want to charge the Nexus S nightly. According to the phone's own battery meter, the display drains the most power from the device, so I kept an eye on the good old Android Power Control widget and dialed down the brightness whenever a brightly lit screen wasn't necessary.